We were standing in front of Y/n&apos;s door. "Bud you gonna open it?" Liam asked quietly. I nodded and opened the door slowly. The sound of loud crying and a steady heart monitor were heard. "Harry?" Marcel stuttered taking his face out of his hands. "Marcel! What happened?!?" I gasped looking at him and his cut up and bruised face. He simply just shook his head. "I don&apos;t matter, Y/N tried to push off some guys that were bullying me and they hurt her.." He said quietly looking down ashamed. "No no no marcel you do matter!!" 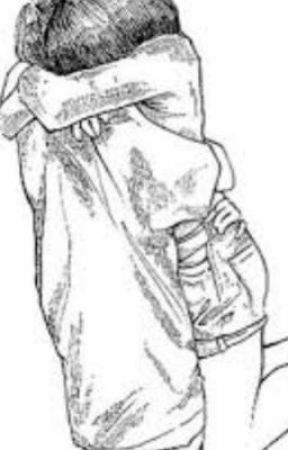 I hushed bringing him into a tight hug. I could feel his heavy breathing as he cried into my shoulder. There was a huge gasp coming from the bed, I looked over and saw Y/n sitting up in bed breathing heavily and tears running down her face. "Y/N!" I smiled happily as marcel and I walked over to her shaking body. "Can we go home?" She asked quickly. I looked to Marcel and he nodded. "Once you woke up we were aloud to go." He smiled as we helped Mac out of the hospital bed. The boys followed us out silently just when Y/N  noticed them. "Guys! She gasped turning around and running into their arms. They laughed and gave her a kiss on the cheek. Once we had checked out of the hospital and driven home we were happy just watching movies (all three toy stories) as Liam insisted we watched and i was just glad I had my family back.